Charming, cozy BYOB serving market-fresh, health-conscious lunches with vegan & paleo options. Pan-Latin fare and old-world charm, with influences from Mexico and Cuba, in a chic riverside restaurant & lounge. Consistently one of the best restaurants in San Antonio. Locally sourced, upscale American specialties. A swanky, stylish spot pairing New American meat & seafood dishes with inventive cocktails. Modern, minimalist bistro featuring a menu of creative French cuisine, including brunch bites. Modern lifestyle and gift boutique in downtown San Antonio. Known for their work in painting, pottery, and sculpture a new medium of glass ornaments. Nearly 30 shops and galleries offer distinct handcrafted items by artists from San Antonio. Upscale store offering designer & made-to-measure clothing for men & women. A three-block outdoor plaza lined with shops, and restaurants. Market Square is the largest Mexican market in the United States. Established in 1883, Pearl has recently been transformed from a historic brewery to a thriving multi-use space where you can eat, drink, and shop. 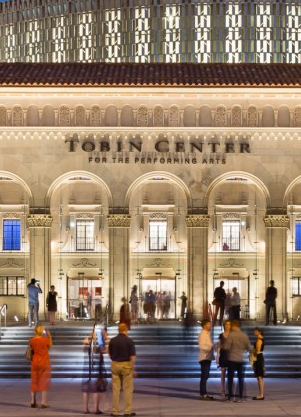 The Tobin Center for the Performing Arts is San Antonio’s premier performing arts center. A nationally recognized leader in visual arts education, offering a Bachelor of Fine Arts degree, as well as studio art programs. For more than 110 years, the award-winning Central Library has been a vital center for learning, knowledge, communication, and culture. The Majestic Theatre is San Antonio’s oldest and largest atmospheric theatre. 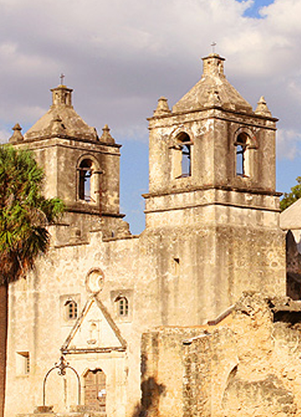 Founded in the 18th century as a Roman Catholic mission and fortress compound, and today The Alamo is part of the San Antonio Missions World Heritage Site. 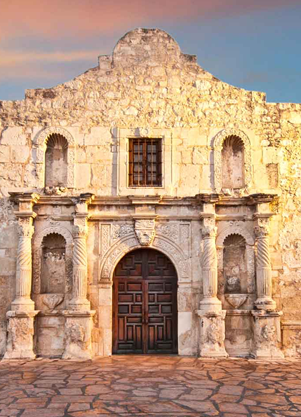 It was the site of the Battle of the Alamo in 1836, and is now a museum. the San Antonio Museum of Art has large collections of ancient Mediterranean art, Asian art and Latin American art with a notable contemporary collection. 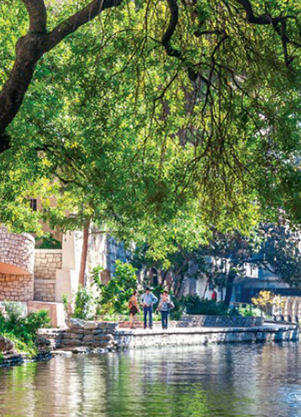 The River Walk is a city park and network of walkways along the banks of the San Antonio River. Lined by bars, shops, restaurants, nature, public artwork, and the five historic missions, the River Walk is an important part of the city’s urban fabric and a tourist attraction in its own right. Veterans Memorial Park is the home of numerous war memorials to honor local war heroes, as well as, beautiful green areas and gardens. Since 1870, the 2.6-acre park has held concerts, hosted community gatherings, & served as a green oasis in the middle of a bustling downtown San Antonio. Madison Square comprises 5.1 acres with ornamental plantings, picnic tables and benches. Hemisfair Park is an iconic park housing Tower of the Americas, Institute of Texan Cultures, fountains & a playground. San Antonio has long been known for its storied history and rich blend of cultures that attract millions of tourists each year, placing the city among the TOP 10 TOURIST DESTINATIONS IN THE U.S. Today, San Antonio also finds itself at the top of other lists: Forbes’ BEST U.S. ECONOMIES; the U.S. Department of Commerce’s FASTEST-GROWING ECONOMY; and Realtor.com’s TOP TEXAS CITY FOR MILLENNIALS. San Antonio is one of the TOP 10 TOURIST DESTINATIONS IN THE U.S. 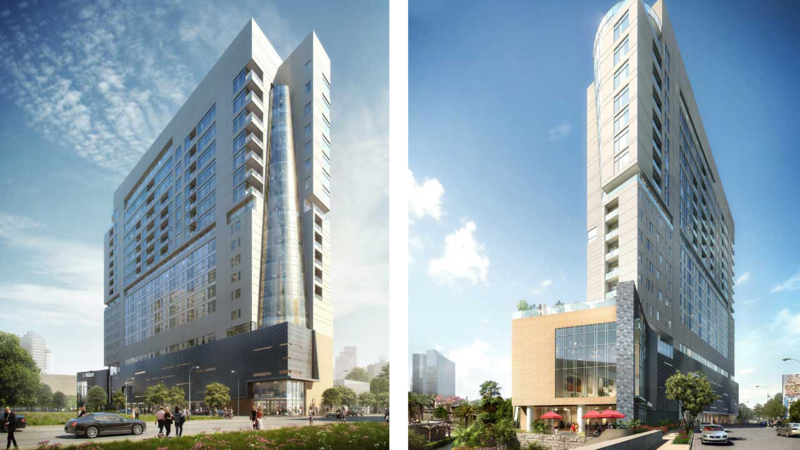 Directly across the river from SAN ANTONIO’S TOBIN CENTER for the Performing Arts, THE ARTS Residences offers some of the city’s best entertainment just outside your door.